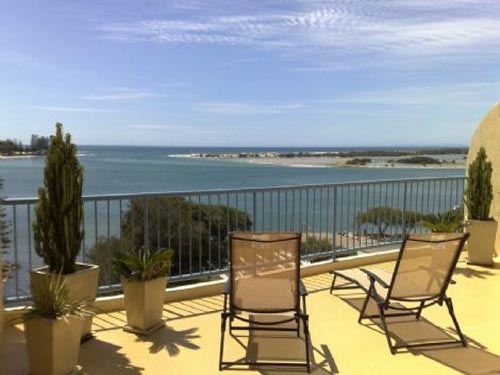 Relax and enjoy luxury living on absolute waterfront, in the ideally located two and three bedroom apartments of Sails Resort on Golden Beach, with superb views and only minutes walk from all local facilities. Comfort and relaxation are essentials for an enjoyable holiday and that's what Sails Resort on Golden Beach offers its guests. 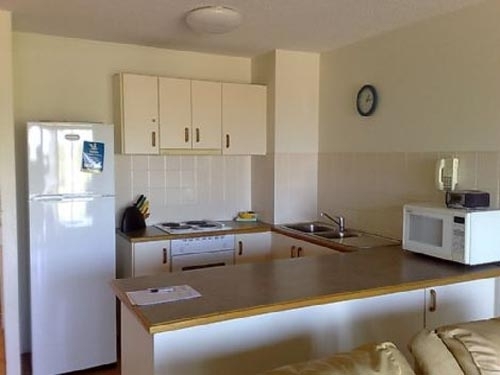 Fully self-contained and spacious apartments are beautifully appointed and maintained by on site managers. The position of the building, with no road to cross, and the layout of its units ensure that magnificent water views are seen from the balcony, lounge room and kitchen. All apartments have an allocated lock up garage and access to all floors is via security key lift. The building and apartments are fitted with intercom. Most apartments also provide security screens for the protection of small children. 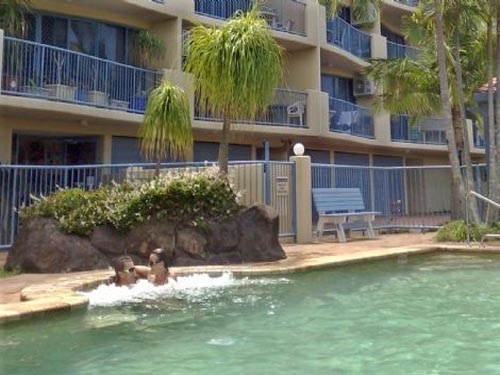 For your convenience and enjoyment, Sails Resort is ideally located in Caloundra, only 250 metres from the Community shopping centre, and only a short stroll to Caloundra City Centre. Children: Children are welcome and cots and hire chairs are available for hire. Disabled: Wheelchair access to all apartments is available including lift access to all floors.